Passive income won’t happen by accident. You’re not going to wake up one day magically financially free. You need to seek out passive income deliberately. 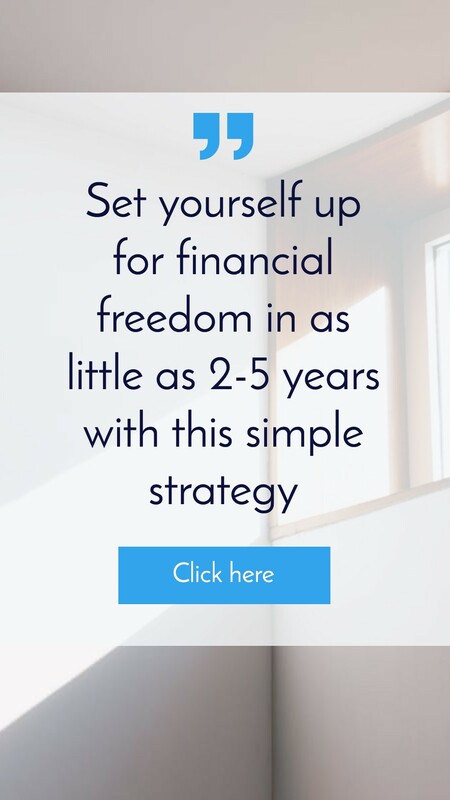 If you want to become financially free, one of the biggest things that you need to recognize is that passive income doesn’t happen by accident. Unless you are extremely deliberate about creating passive income streams in your life. You’re not going to create any. 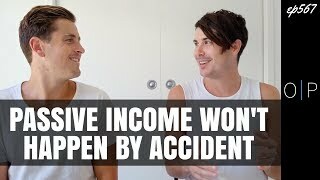 It’s very unlikely that you’re going to get passive income by accident and that one day you’ll wake up financially free. You need to be really diligent and really focused about it. 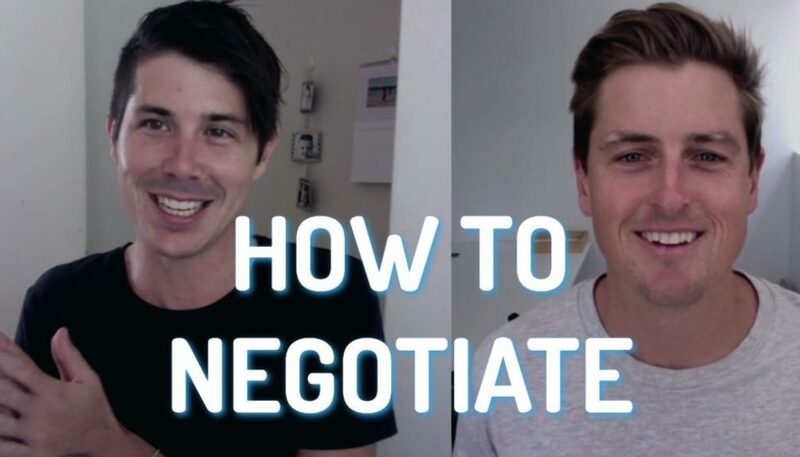 Hi, I’m Ryan from onproperty.com.au helping you achieve financial freedom and here is a segment from a longer video that I did with Ben Everingham where we talk exactly about this concept that how you need to be laser focused in order to create passive income in your life. I re-read Rich Dad, poor dad, just the other week because I want to do a review on it for the site, but then also because I’m in this situation when I’m like, okay, I want to get back to financial freedom and just the idea of constantly living your life, looking for ways to generate passive income is such a powerful thing and that might be through property or it might be through something else, but I feel like so many people just live their lives looking for earned income, looking for like to increase their employment income and they’re not looking for ways to increase that passive income and like some people might buy one property and then they’re done some. Like we’ve had the privilege of working with so many people who aren’t like that and who do focus on passive income and buy property two, three, four and stuff like that. But even just looking in your regular life at different ways to generate passive income and that might be in small ways through like little side businesses. It might be through like investing in dividend paying stocks. It might be through property. Like once you start looking for the passive income opportunities then they’re there., They’re everywhere! like, well, you have to look for it and you have to be laser focused on it. It’s like when you’re trying to buy a new car and then you’re like, I’m thinking about buying this car, and then all of a sudden you see it everywhere, everywhere. It’s the same with passive income. You need to like force your brain to be like, I’m only going to look for passive income opportunities and then you see so many of them. Whereas if you’re not thinking about that, it’s not just going to happen naturally. You’re not going to get to a point of financial freedom by accident, but no one gets there by accident and you have to be so deliberate about it. It has to be a design and then there has to be a discipline surrounding that for years and years. Yeah. My brother in law is like, he’s really looking for passive income opportunities and now he’s starting to find them in one that he found this week. Was this car companies, this advertising companies that if you’ve got a car, we’ll pay you $100 a week, 400 bucks a month to wrap your car and whatever brand you know, and, and that’s outside of my scope, but I’m thinking about someone in a pressure situation with two cars. 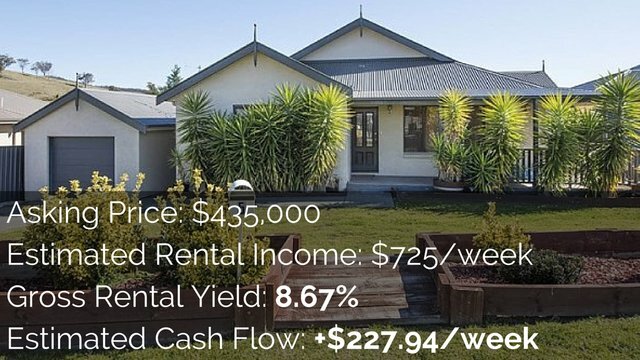 It’s 200 bucks a week extra cashflow which might just be to pay for the cars, will take the edge off the expenses in someone’s life or if you’re a single person, you know, actually 5,000 bucks in the hand takes all of the expenses away from owning a car. It’s kind of like there’s all these little niches out there that can become solutions if you need them. Yeah. Well, and that’s the thing, like I’m looking at renting out the camper van through Airbnb or maybe through somewhere else, that extra income. Now that’s not technically completely passive because you’ve obviously you’ve got to meet the people when they come, you know, you’ve got to clean the van after they’ve used it and stuff like that. So it’s not completely passive, but it’s an extra income stream in my life that didn’t exist before and whether or not I do it, I’m not sure I need to look into it more, but now that we’re going to need to buy a separate car and don’t really want to sell the camper van, that’s a way to get income that will probably pay for like all the rego insurance and petrol on the Camper van rego and insurance on the other cars as well. Huge amount of pressure off and then you can always sell it if you wanted to in the future anyway, and just to be able to get an income stream from that thing that we invested into. When you’re looking for those opportunities they exists and you might not have a camper van, you probably don’t, you know, but that was just something in my life that’s sitting there costing me money that I can turn around and it can make me some money. I absolutely love this concept that you do need to focus on it. You do need to put effort in and constantly be looking for passive income opportunities. They’re not obvious, but they are out there. As you can hear. Ben mentioned one idea with the sticker things over the car. I’m looking at renting out the camper van. Passive income opportunities do exist in your life. You do need to think outside of the box in order to work out where they are. You need to approach things a little bit differently in order to get passive income rather than just working for income. It’s a different way of thinking, but go out there today and start thinking about what can I do where I can earn money for very little or no work? Start with the very little work. I think that’s probably easier for most people. What can I do to earn some money for very little work? That’s a good place to start. Go out there, start looking for passive income opportunities. 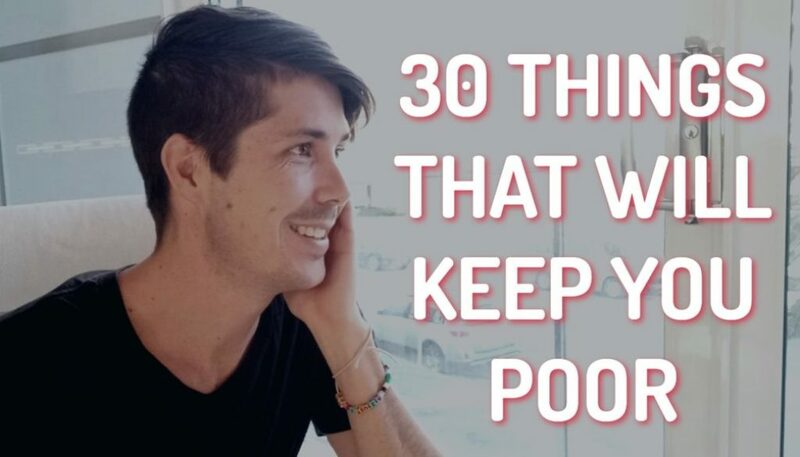 Yes, you can find it in property, but there’s so many other ones in your life as well. 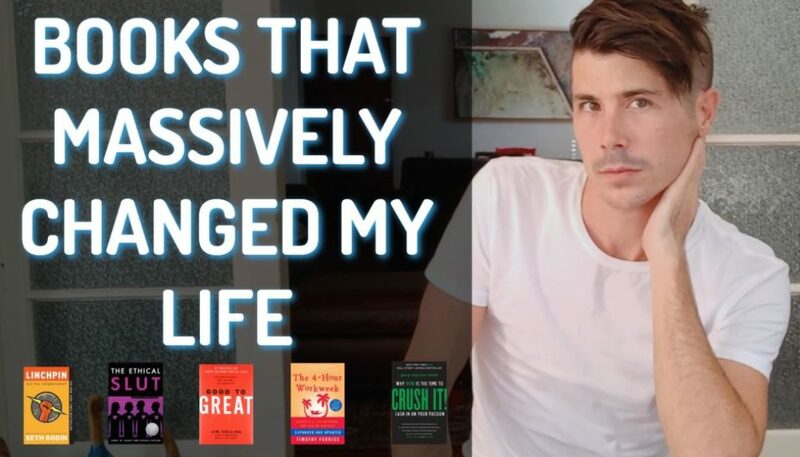 If you are interested in creating passive income in your life, I am putting together a free online training with Ben Everingham that’ll come out in about a week. 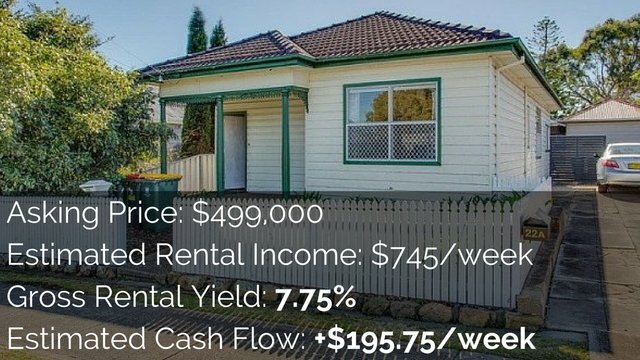 Just head over to onproperty.com.au And there’ll be some links to sign up over there. Thanks so much for tuning in today’s episode. I wish you the best of block findinhgpassive income opportunities in your life and until next time, stay positive.